I said that I would show the change of rig that might have just made a difference on my last session on Horseshoe. I have changed main line too. 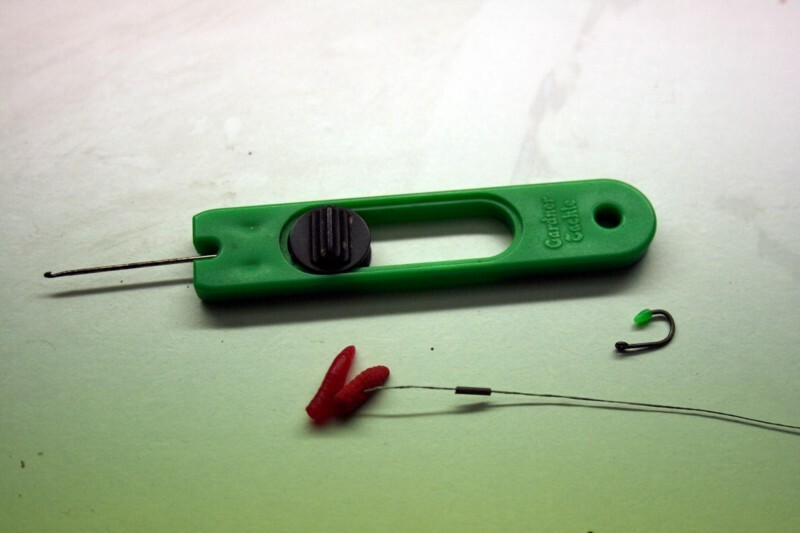 My mate Alan Thomas keeps telling me about the Korda Kontour fluoracarbon main line. I decided to get some. On small reel spools and the amount of twist you get it’s what you call a high management line that you need to look after. When I get home I need to get on the grass, no not that stuff but the lawn to get all the twists out of the line. It tells you how to do this on the information that is supplied with the line. The stuff though is invisible in water and sinks like a stone. I’m going to give a go on the river, the only problem it only comes in 12lb spools. The way I attach the line to the swivel is by tying a Palomar knot. I have found this knot to be secure. 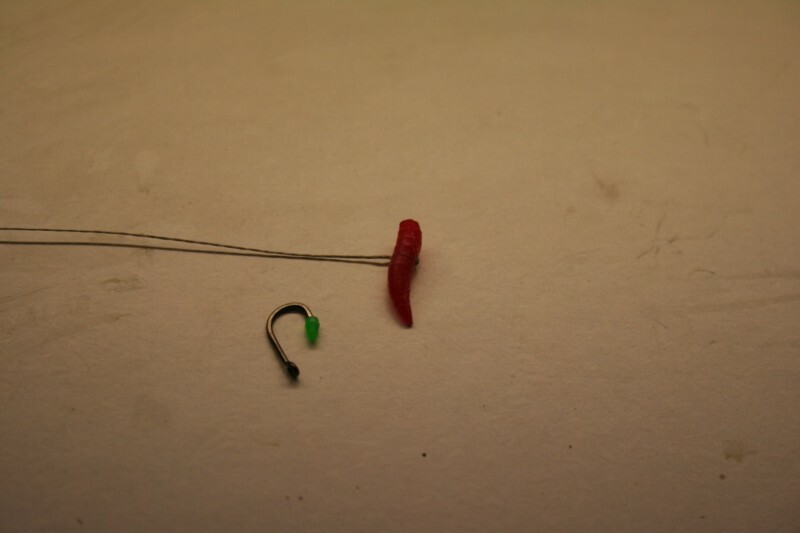 Anyway back to the rig I had seen the maggot liner for a while but had mostly fished the plastics on the hair. I decided that I would try this on Horseshoe since the fishing had been good and I could take time to try something new. These are some of the materials that I use. These are the materials I use. The way I tie the rig is as follows. I use the two tone coated braid and remove about 50% length of the plastic on the braid , then thread on a plastic maggot after I’ve tied a figure of eight knot. The loop from the figure of 8 knot secures the plastic maggot. So often in the past I’ve lost plastic maggots where they have got caught in the net etc, but not any more. I then thread on another maggot this time I use an enterprise rubber maggot. 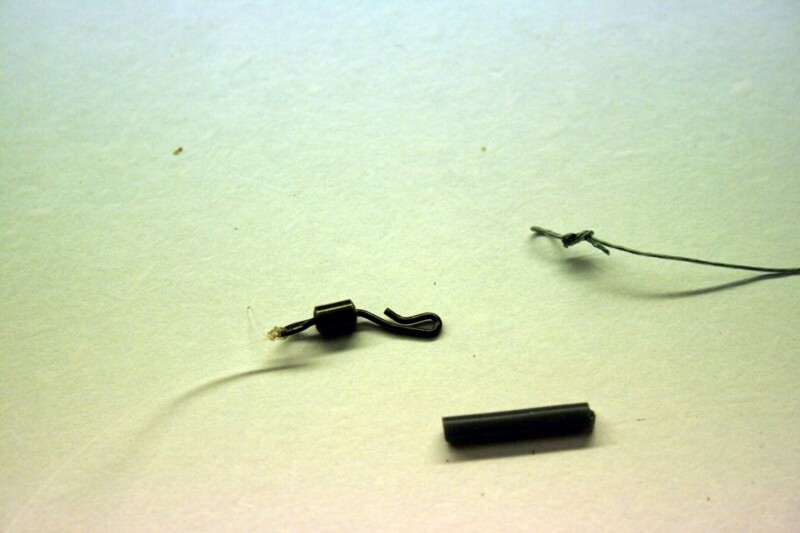 And then a small piece of silicon rig tubing that ensures the hair sits close to the bend of the hook. 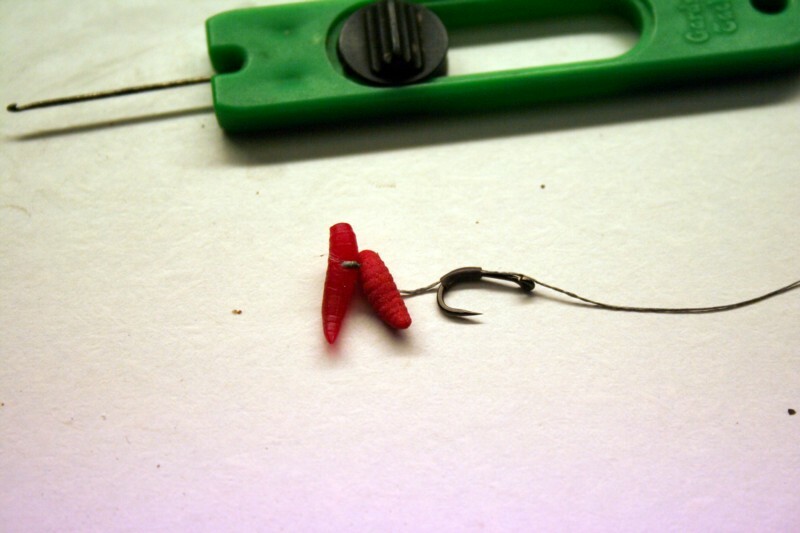 The hook needs to be wide gap one (this a size 12) as the next step after this is important. There is two maggots and a piece of silicon rig tubing on the line. So everything is set to put on the hook. As I said a wide gap hook is important. Here we are the next step is not far away. 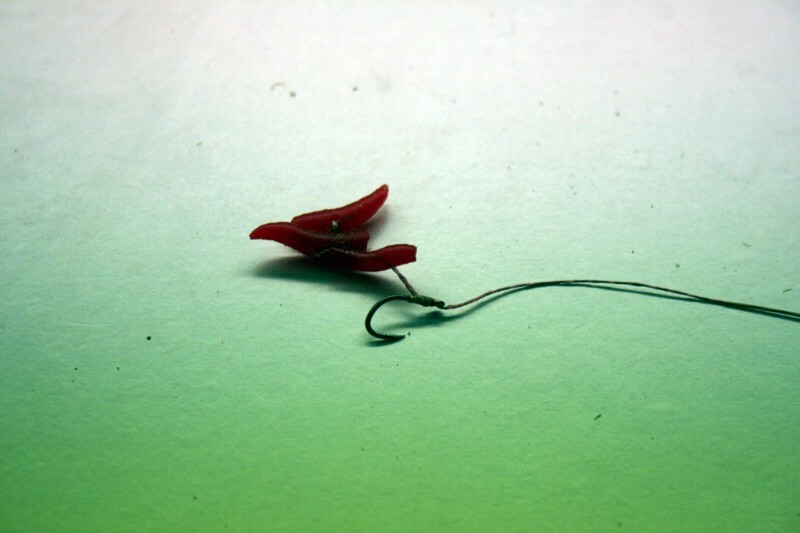 So tie a knotless knot and I use about 8 or 9 turns of the hook shank. 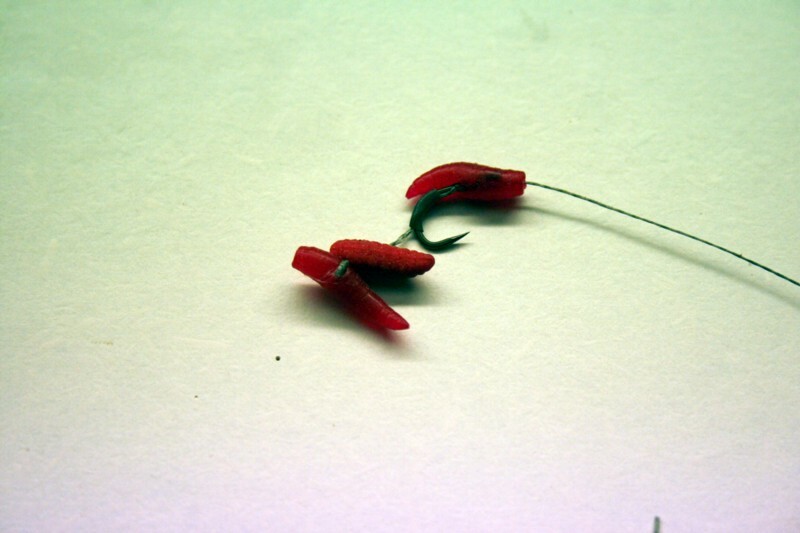 Then thread on a Drennan plastic maggot as the inline maggot. Go from the centre of the blunt end and out at the bottom half way along. 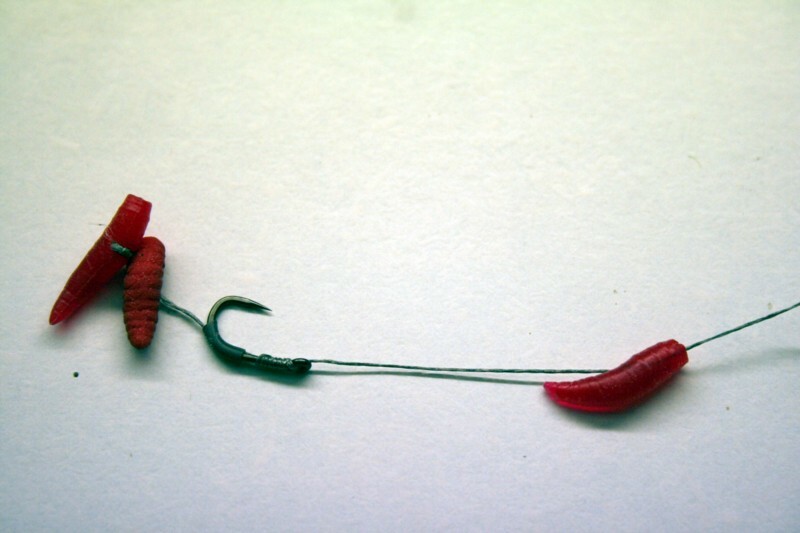 Then slide the plastic maggot down the line so that you get to the shank of the hook and slide it over so that you get a bent hook rig without the bent hook. A good bent hook rig that I believe helped with my success. Then finish with a figure of eight knot at the end of the plastic ready to slip onto a quick change swivel. I found that the hook with the plastic maggots just about sunk, so I guess it’s critically balanced. Slip the loop over the quick change swivel and the rubber sleeve prevents it from coming off. So my original rig looked something like this. I still caught plenty of tench on this rig. My original rig still catches many fish. So there you go, it’s not mind blowing and I’m sure it’s been done before but it’s worth a try. 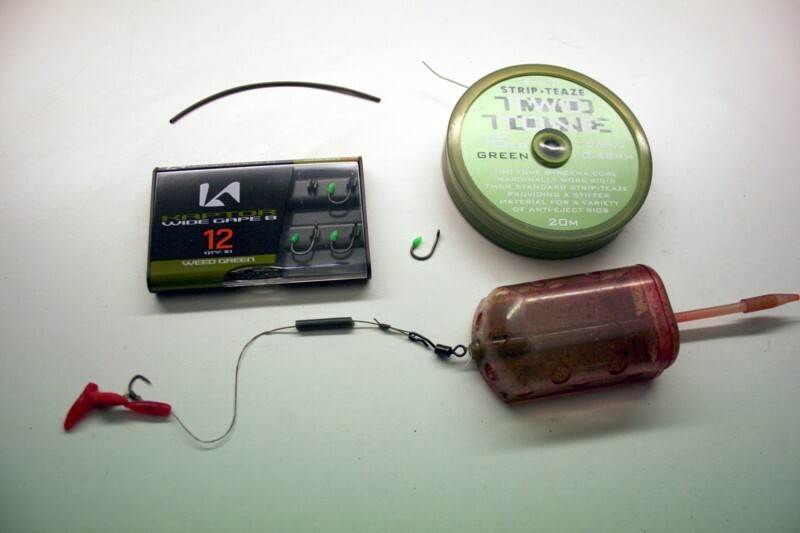 I shall be trying this for the chub and barbel this year that’s for sure.